Jehovah God has always revealed Himself to man. One of the most glorious manners of His revelation is when He guided the children of Israel out of Egypt and through the wilderness wanderings. The Lord went before them as a comforting cover of cloud in the day and a cloud of fire at night for security and guidance. When Pharaoh came after the people at the Red Sea God put His cloud between the army and His people creating a cloud of darkness for the Egyptians but a cloud of light for the Hebrews. At Mount Sinai the Lord spoke from the cloud with thundering and lightening to Moses. When the Tabernacle was constructed God filled it with His cloud. In the day it was a cloud of covering and at night it was a cloud of fire protecting the people. The cloud of the Lord was not just a cloud but a way the Lord expected the people to trust in Him. The Law of Moses was specific about the nature of the cloud of God. Trusting in the Lord would come from the evidence of the cloud. During the heat of the day they would be protected by the presence of the Lord. At night without guidance and direction they had only but to see the cloud of fire to feel the spirit of comfort in the presence of God. This cloud also became their GPS guiding them through the wilderness for forty years. Whenever the cloud moved east, west, north or south the people would pack up their tents and follow the cloud. Like their father Abraham of old they did not know where they were going but they were to trust the cloud. 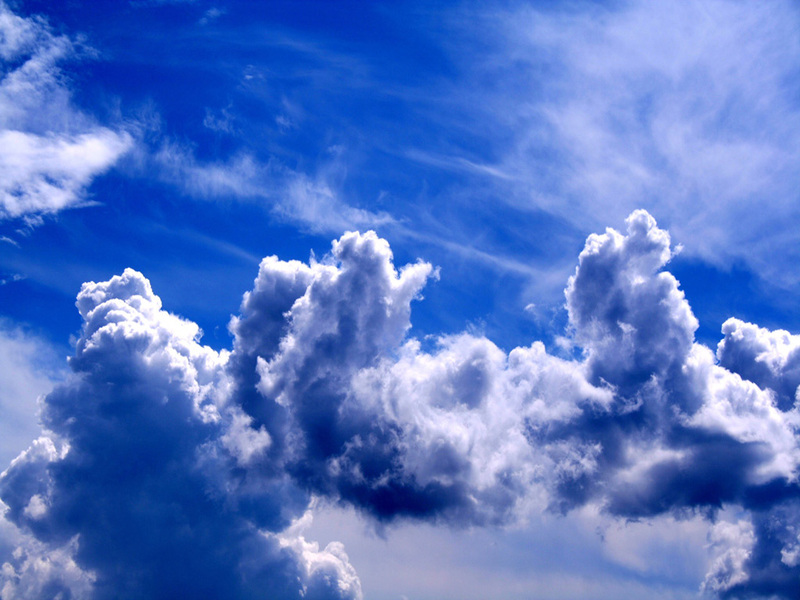 If the cloud stopped for a day, a week, a month or a year they were to remain in place until the cloud moved. Following the cloud was following the command of the Lord. Ignoring the cloud was disobedience and death. If a family decided to not trust the cloud and stay in one place while the cloud moved they would perish from the heat and be lost in the wilderness. Survival was dependent upon obedience to follow the cloud and trust the cloud. Did it make any sense to human wisdom to tell people to follow a cloud? Only if you wanted to live. Without God man is lost. Today the cloud of the Lord is in a different form. It still provides a cover of comfort by day and a light at night. We call it the Bible. Like the cloud of Moses’ day God reveals Himself to man as comfort and direction. It will protect us from Satan as the word of God keeps the adversary in the darkness and allows God’s people to dwell in light. Following the word of God is like following the cloud. The Bible can be trusted because it is the presence of the Lord showering man with the shadow of His mercy. During the dark nights of life the presence of the heavenly Father provides security and protection like a light. There is nothing to fear when we have the cloud of God surrounding us. He speaks to us from this cloud. Sometimes it is a gentle rain and sometimes it is the fury of thunder. Looking at this cloud we can see the grace of a loving God when He tells us to rise up and take our journey. At times He wants us to stay still and know that He is God. Whenever the Bible tells us to go from one place to another we follow those commands. His will is accomplished in the cloud as the Bible reveals the will of the Father. We obey because we trust the cloud. For people in the world they laugh and scoff that we would follow the Bible. Like the days of the Hebrews survival depended on following the cloud. So it is today. The wisdom of the world cannot understand what the cloud of the Lord means until they stand in the midst of God. As for me and my house we will follow the cloud. Today is a day of worship. Take a look at the clouds today. Make each day a day of cloud watching. Teach your children that God is in the clouds. More important show your children the God of the Bible. Trust the cloud. This entry was posted in Bible, Christian, Cloud, Law of Moses, Mercy, Moses, obedience, Old Testament, salvation. Bookmark the permalink.